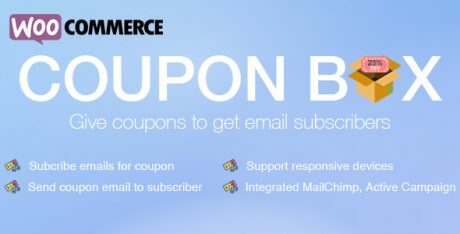 WooCommerce Coupon Box plugin is a powerful, professional solution to collect customers email addresses. The plugin will send discount coupons to subscribers. Emails will be saved in the backend and can be synced with MailChimp, Active Campaign or export as excel files. 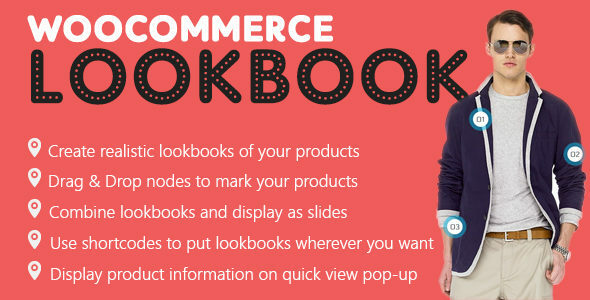 WooCommerce Coupon Box is a WooCommerce subscription plugin. The plugin helps you to collect your customers’ emails. By display a coupon box pop-up, WooCommercer Coupon Box plugin allows users to subscribe to your newsletter email. 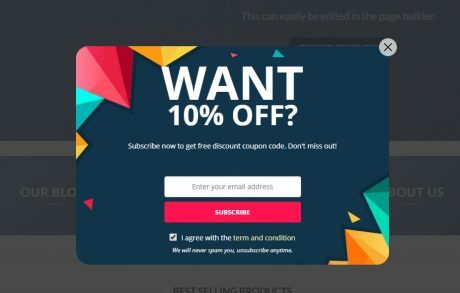 Display Coupon Box pop-up, allow users to subscribe their email. Sync email with MailChimp, Active Campaign, SendGrid email platform. Automatically generate and send coupons to subscribers. 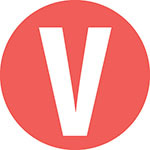 A pop-will appear when users visit your site, offer them to subscribe for a discount. Minimize the bar: If customers skip the pop-up, you can select to hide the pop-up or minimize it into top bar or button of your page. Subscribe Reminder time: Schedule a time for the pop-up to reappear if a user skips it. Display only on Homepage: the option that allows you to display the pop-up only on the homepage of your site. Conditional tags: Configure which page where the coupon box will appear using WordPress conditional tags. 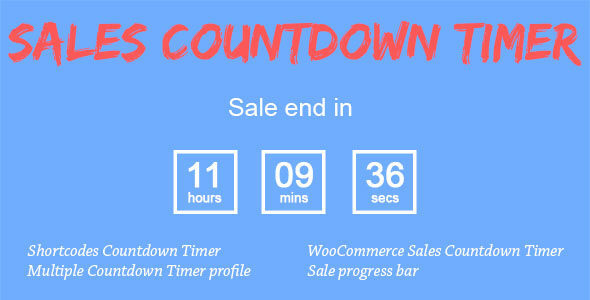 The WooCommerce subscription plugin can send discount coupons to subscribers. You can select to send existing coupons or generate unique coupons. Generate unique coupon: Whenever a visitor subscribes an email, the plugin will generate a unique coupon and send it to his/her email address. You can set up the coupon type, amount, prefix and all other settings like a WooCommerce coupon. Existing coupons: With this option, you will choose an existing coupon to send to subscribers. You can choose to allows only subscribed emails to use the coupon. Custom: Sending a custom code to subscribers. Do not use coupon: With this option, visitors will not receive coupons when they subscribe emails. Subscribe emails can be synced with your MailChimp, Active Campaign, SendGrid account. 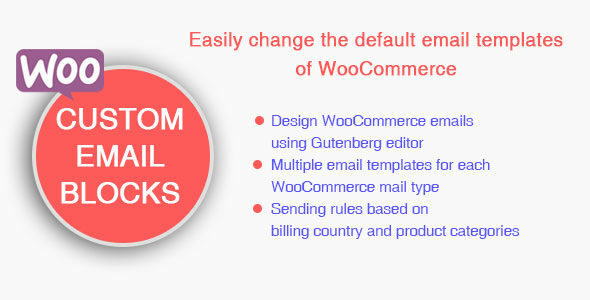 The WooCommerce subscription plugin will automatically send emails to subscribers. Configure the email content as you want. Email content: Write the emails that will be sent to subscribers with email heading, subject, content. 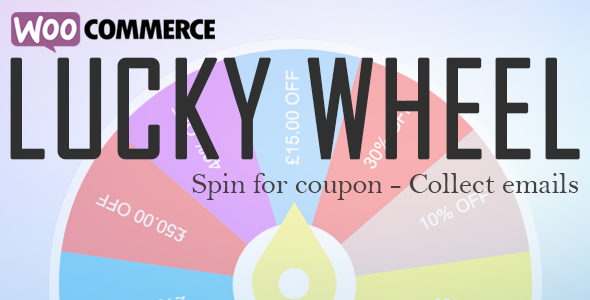 Shop now button: the button that helps the customer to use the coupon you’ve just sent to them. You can set up the title, the URL, and the design of the button. Subscribed emails will be saved in email campaigns. Export emails: export your subscribed emails as an excel file. Then you can select to export from a selected subscribe time or export from a selected campaign. List subscribed emails: check the subscribed emails list in your backend. The list includes email address, subscribe time, email campaign, given coupon, MailChimp/Active Campaign/SendGrid list. Email Campaign: manage subscribe email using email campaigns. 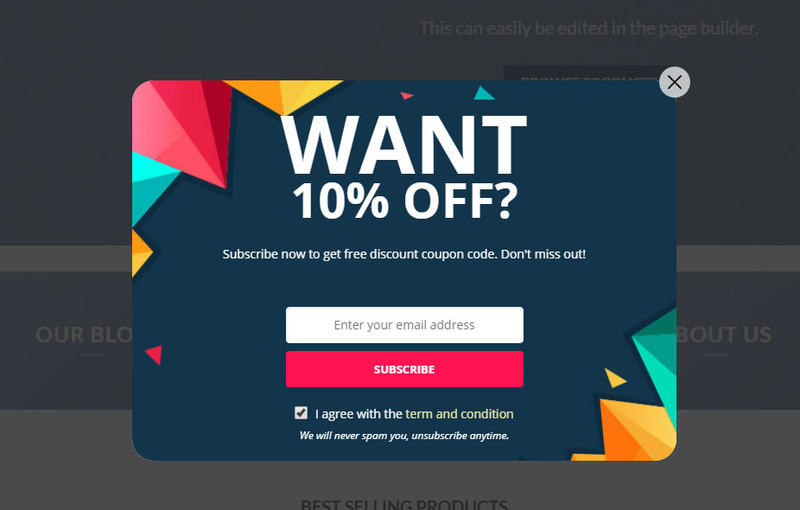 The front-end style of the Coupon Box pop-up to match your site’s style. Templates: 4 templates with 4 different element arrangement ways. Message: Display welcome, congratulation, thankyou-message. Close button styles: 6 different icon style for the close button, size, position. Header style: Configure the header style with title and background. You can use images as your background. Body style: Configure the Coupon Box body style with text font, background image. Social Network icons: Display your social network on the Coupon Box pop-up. Subscribe Button: Design your subscribe button with text, text color, and background color. Custom CSS: The plugin allows you to add your own Custom CSS code to change the front-end as you want. Within your support period, you are able to automatically update the plugin from your Dashboard. After that, you are still able to update the plugin manually. This is a good plugin for marketing. I Living in Vietnam. I need this tool, but just for “Like Fanpage Facebook, After that, Coupon code will show to my customers. NOT request customers’ Email. Please help me check this option.